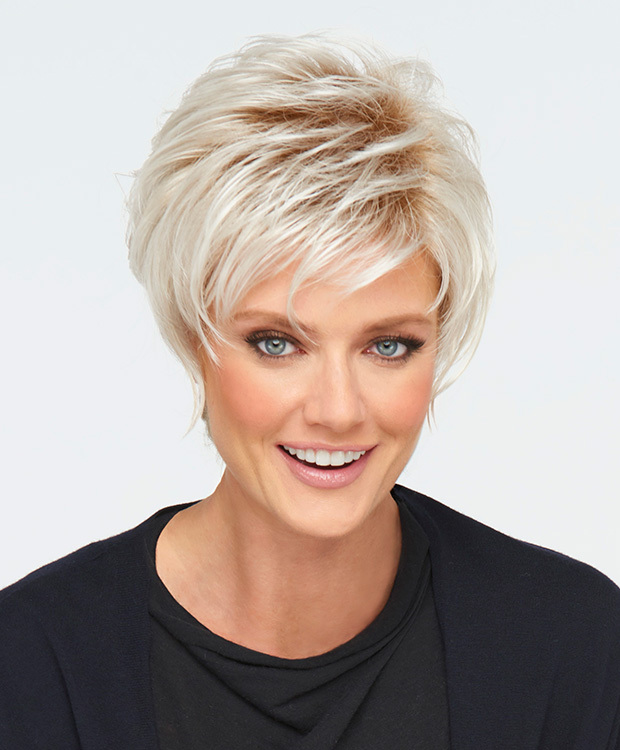 A short look that’s long on style, this slightly waved, textured cut is punctuated with layered lengths throughout for natural movement and maximum styling options. 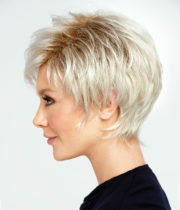 Soft tendrils around the face and crown can be styled onto the face or brushed away. 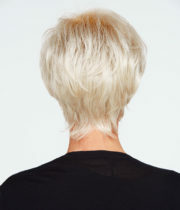 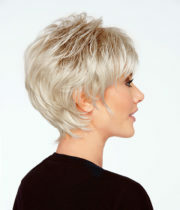 Longer, shattered pieces at the extended nape add softness and finesse. 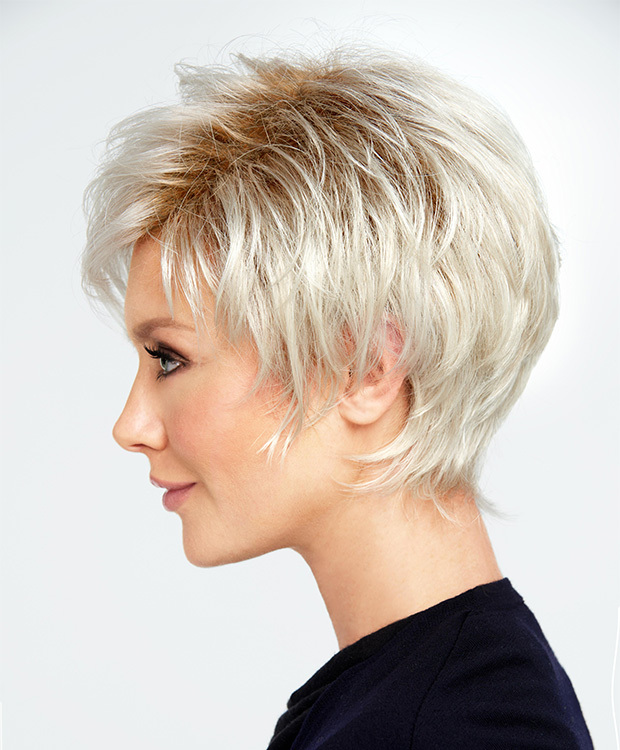 The Sheer Indulgence™ monofilament crown provides a natural contour.